ACTION-Ceritfied Personal Trainers need to renew their certification every two years. 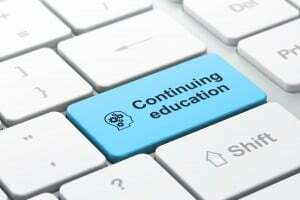 Earn your required CEUs through ACTION Certification approved courses. Visit the ACTION Governing Board web site https://athleticcertification.org to learn more about recertification requirements. ACTION Certification requires Personal Trainers to obtain 2.0 CECs. Throughout the year ACTION Certification provides an array of CEC contact hours via self-study programs and online classes. ACTION Personal Trainers should take advantage of at least one of these programs every two to three months to enhance their training skills and exceed the minimum CEC requirements. All CECs obtained within the two-year time frame will be applied to the current recertification application. Please visit our Recertification Portal for a list of over 75 available CEC classes offered by ACTION Certification and its partners. For more information on the Recertification process, please download our Recertification Guide.